We are a premier organization engaged in offering a broad range of all types of SG and CI Casting. 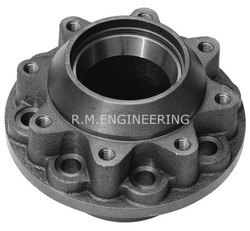 These castings are manufactured in accordance with industry norms and standards. Due to their superior finish and high durability, our graded castings are used in Pump, Automobile, Engineering and many other industries. With an exceptional talent of our competent team, we are offering our valued clients a wide series of cast iron casting that is manufactured as per international quality standards. We are among the reputed names in the industry for manufacturing Iron Casting. The offered product is used in casting and foundry industries for automating machinery and increasing the productivity. It helps in the efficient planning and scheduling of production tasks and is cost effective as well. We are leading manufacturer, supplier of the Cast Iron Casting to our esteemed clients. Our product is designed and developed keenly by qualified professionals who have wide knowledge and experience of their respective field. The offered variety can be availed from our organization at market leading prices in stimulated time period. 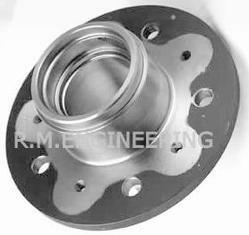 We are one of the reliable manufacturers and suppliers of ventilated brake disc. Our ventilated brake disc is greatly appreciated for its smooth surface finish and accurate dimensions. Designed to perfection, ventilated brake disc is ensures efficient performance. 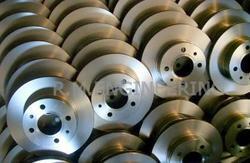 Our valued customers can avail ventilated brake disc in different sizes and specifications. 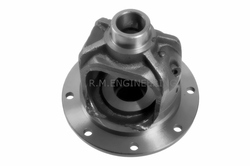 We are supplier of Differential Case as per O.E. Customer requirement. With highly driven technical excellence, we have come up with a wide range of Transmission Shaft Casting. Manufactured and developed in adherence with the international quality guidelines & standard, these Cast Iron Sand Casting are made in accordance with the patrons varied requirements.